Ben, here is a example of what I was talking about with that homework assignment to make a panel that shows a passage of time; our Week 1 Homework assignment was to illustrate this concept in a single panel using at least four characters. I doodled a comp for this way back when Ben initially posted his confusion/skepticism; today I finally got to it, and got carried away drawing it up and trying to get it inked...there goes a whole day--and I failed to follow my own directions and include myself as a character!). Ben, I hope you're satisfied. Now the four projects: these are the multi-week efforts that together will comprise 70% of the student's grade. 1. Hero + Animal: Create at least 10 panels (try for no more than 1 page--1.5 at most) of interaction between a pre-existing comic book character (Spiderman, Popeye, Archie, etc.) and an animal (any animal, free choice); the animal must be “naturalistic”, i.e., non-talking, realistic'ish looking, and not another character from cartoons/comics/pop culture, i.e., no Garfield, no Rin-Tin-Tin. 2. Min-Comic: Create an 8 page mini-comic of BIOGRAPHIC CONTENT; it can be directly about you, your friends/family, about something you’ve witnessed, or something you are interested in--but it must come from YOU and YOUR OWN LIFE EXPERIENCE. You will print and bind enough copies for the entire class. Create a professional proposal for your OWN project. Complete a 4-6 page short story or 8-10 strip run that presents your characters, universe, an original plot, and your storytelling and graphic style. Design original and memorable characters. Make the universe factual or emotionally authentic. Attempt to move your readers with powerful emotions and ideas. Try to engage their minds and hearts. Additionally, research publishers who could be interested in your comic, research the market segment you hope to occupy, and generate a proposal that includes all the documents your publisher of choice requires. Obviously the last two are the biggies. I probably shoulda dropped Project 3, the "Mash-up/Reboot," but...too late now. Everybody is finishing up their Project 1 (Hero + Animal) this week. I was inspired by "Pizza Dog" from the recent Aja/Fraction Hawkeye series. I am going to try to do my own...watch this space! You can see I'm trying to give assignments that let the students weave in and out of the purely commercial and the personal. We looked at these and contemplated how the visual storytelling worked in them. Then I hit the same comic from the other end--as written story. I had everyone write a sentence that told the basic story of their comic/graphic novel. 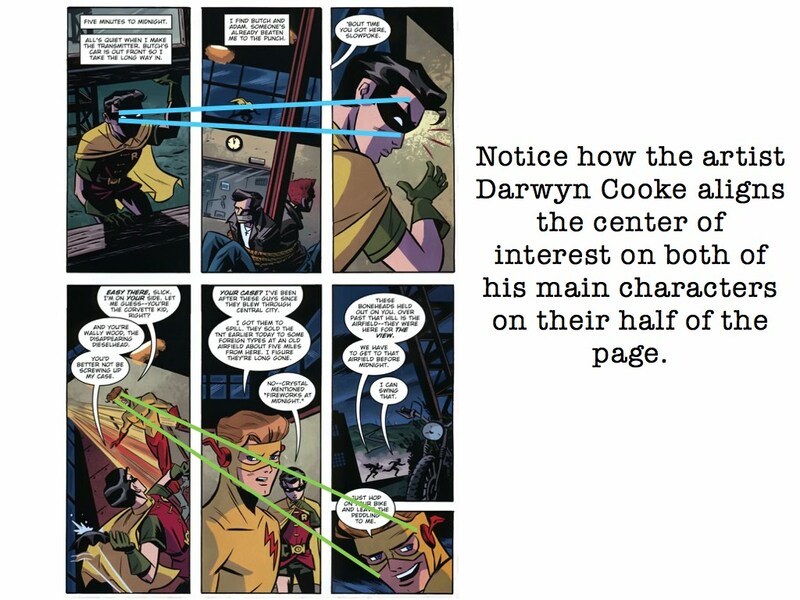 This was interesting because few people had been able to finish reading their comic in our ten minute silent reading period--and some of the books were big g/novels, so just scratching the surface. We looked at the panels we drew and tried to figure what kind of story those alone told us. This was all in preparation for writing our synopses for future projects. Then I had everyone take out their Single Panel Showing Elapsed Time assignment (AKA "Ben's Bane") and map out how their eye flows thru the panel. Did it match the sequence of events? Could it be varied or improved? Yeah? OK, let's work on that. And we did. 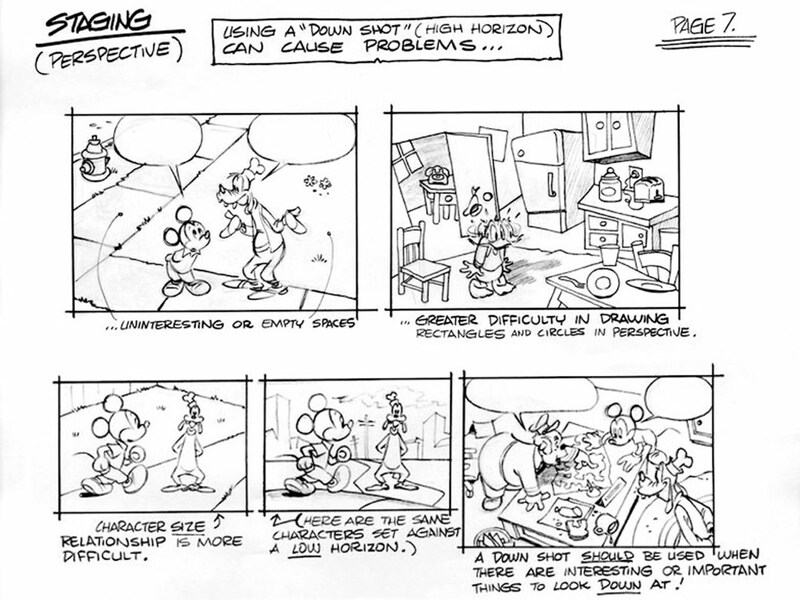 In fact I had them sketch up 3 new thumbnails based on the wisdom gleaned from this lesson and everyone improved their piece (except the kids who were already really good). Homework was work more on Project 1: Hero + Animal and to write three one sentence synopses for a possible Project 4: Yr Own Graphic Novel. Week 3 I wanted to get us into inking. I showed a few slides of master ink work like Friz and Wrightson--showed his Frankentstein. My point was less about linework than about ratios of black to white to halftone. Then I had everyone pull out their completed Single Panel/Ben's Bane, and I had them estimate in percentage on the side of the page how much of their image was white, black, and halftone. Most everybody's was waaaay too white. So I had them get out their inking supplies and add more black, and discover how to use halftone. I also taught them to use white to pull things back. This seemed productive. 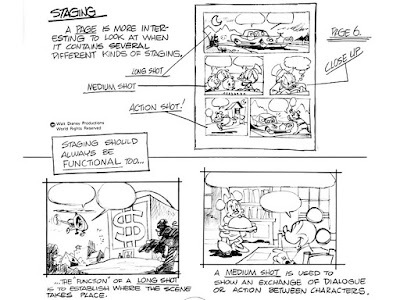 But the page that really, really made a difference was the wonderful Wally Wood's "22 Panels that Always Work!!" I had everybody take their Hero + Animal story and thumbnail out a new version using ONLY panels included in WW's 22. And you know what? It made a BIG difference. I really saw light bulbs going off...students even told me outright how much it helped. Thanks, Wally! Most everybody dumped their old layout and went with the new WW-derived page(s). Which was very cool! The other thing I did was spend some serious time on story: I've been struggling for a while to find a satisfying formulation for "story structure" that can work for such small-scale works...I was looking for more of a "short story" formula than the typical novel/screenplay. But nothing really suited my needs. So I kicked around and sat by the pool and came up with my own super-simple format that I think works pretty well for the kind of simple storytelling we're after in this class. 2. Disruption “Change Agent” (this means your villain or “antagonist”) Can be as cosmic as Galactus or simple as a sticking door knob. 3. Battle (Can be physical--or not) Often verbal, or mental; can end in a draw, too. This seems to work well for the sort of cyclical stories that come up in comic strips or comic books...it's not so much characters "arcing" as it is a steady character coming up against difficulties and getting thru them, time and time again. I used the Eric Haven "Man-Cat" and a Peanuts strip as examples. 3. Snoopy initially surrenders to Frida and does as she wishes; BUT he returns with a rabbit that he''s befriended (defeating Frida). 4. Return to normalcy: Snoopy has a new friend to layabout with, (and Frida is still frustrated nosey-parker). 3. That ACTION MUST HAVE CONSEQUENCE(s). 3. ...finds a new friend that he brings home, thus foiling Frida's plot to turn him into a rabbit-killer. All of this works with Man-Cat, too. Check it out! That just seems way too convoluted for the comics we're doing. Am I wrong? One other thing I got a kick out of, tho' I don't know how interesting/useful it was for the students: Kurt Vonnegut's "Shapes of Stories" was interesting to me! Comments and suggestions are very appreciated! Apologies for not being more active here--this stuff is taking so much time. Ugh. But it's interesting and rewarding. And I'm getting paid (hallelujah). NEXT EPISODE: WHY WE ALL NEED TO READ JASON BRUBAKER'S UNNATURAL TALENT. And oh yeah--Happy Birthday Messrs. Moon and Goodson! Fantastic level of preparation as a teacher. I wince to think of my own "photoshop tips and tricks" that I did teaching my Otis concept art class. 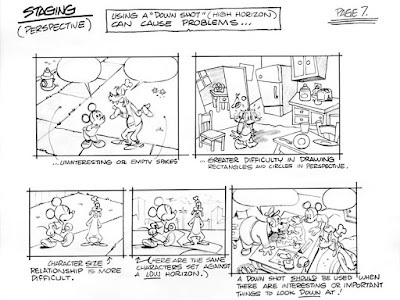 Really neat that Wally Woods 22 panels that ALWAYS work was as big a deal as it was. That all caps 'always' was what the old pro promised. I'm a bit disoriented on how much you've already crammed into them. You're at least a week farther along than I thought you were. 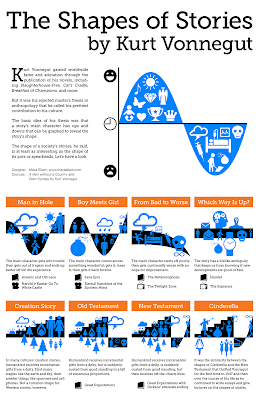 Your seeking of simplicity on story structure has also got to be a huge help. This is the kind of curriculum I hope you refine for a few years running. Are you planning on being a college prof? What else- great examples. Love your vampire drawing. I've already saved it. I'll give you some simplicity for stories. Something i think I've gathered from lots of story reading. Every adventure tale is a build to a showdown. Mull that and see if you think that is truly universal. Keep it coming. Tom Moon was 63 a day or so earlier than me. I just turned 63. Happy Birthday Ellis! I love that you are up partying until the wee hours...and checking TAG! Yeah, a showdown is a definite. I seriously need to read your stories on here...as you can see, I'm having a hard time keeping up! I have taught three classes so far--and the fourth is this Friday. We've got 15 total classes (with Thanksgiving holiday, etc.). I hope it's enough time to get thru all this...? Yes, I have you to thank for the Wally Wood advice--I remember you posting about that on here years ago. It really helped us all out. As far as becoming a college prof., sure! The CSUF folks keep asking me back, but there's no guarantee that will keep going...I do really enjoy the teaching, but at my status level (part-time faculty, even tho' I'm teaching a full load) the pay is quite low...I guess I'm doing it for the kids. Hope at some point I can get a raise and more permanent position. We'll see what shakes out. One thing that's tough: getting real quality time working thru story ideas with each individual student. I have been creeping up on this, but we're not there yet. Each week I've been introducing more story concepts and frameworks and little exercises for them to begin getting their head around this stuff. Two weeks ago I started them on their big personal project asking for three different possible story ideas in a one-sentence descriptions;last week I told them to choose two and do some exploratory art to see which one clicks. Doesn't have to be "viz-dev" or concept-y paintings--can be characters, sketches of scenes, props; anything to get their brains firing on what the idea could look like on the page. They have two weeks to start working that up. Being a student is hard. All you want to do is nap and dread deadlines. High anxiety at its worst. Teachers with a solid curriculum like you are forming here- That's high value. I hope you get some appreciation for it. 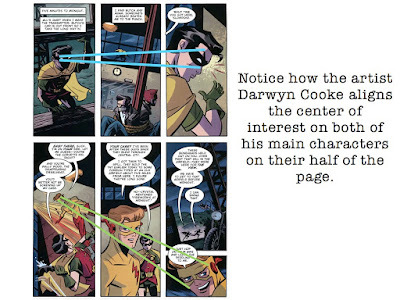 Hey, in the Darwyn Cooke comic Robin calls Kid Flash "Wally Wood", like the comic artist, instead of "Wally West", (Iris West's nephew)! Fantastic monster drawing Marty! And what a great and challenging comics course you are putting together. Sounds super tough though. I'd balk at so many of the assignments! Tom Moon!!?!? Does it sound too tough??? We've really only had to do the one panel showing the passage of time ("Ben's Bane") and that was over three weeks before we had to have it inked, with lots of time to work on it in class. 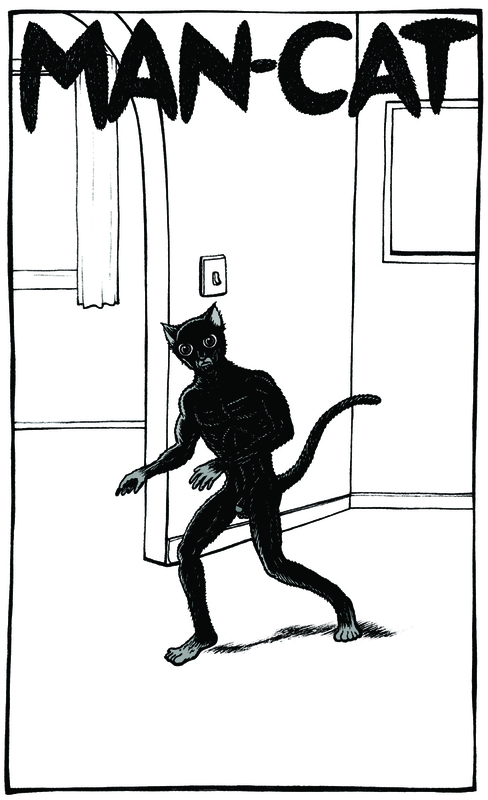 I've assigned about 15 pages of reading out of the Scott McCloud book (so not very dense, tho' very rich), and the Hero + Animal assignment, which is only due after four weeks (that's an entire MONTH). I am very glad you like this stuff so far. 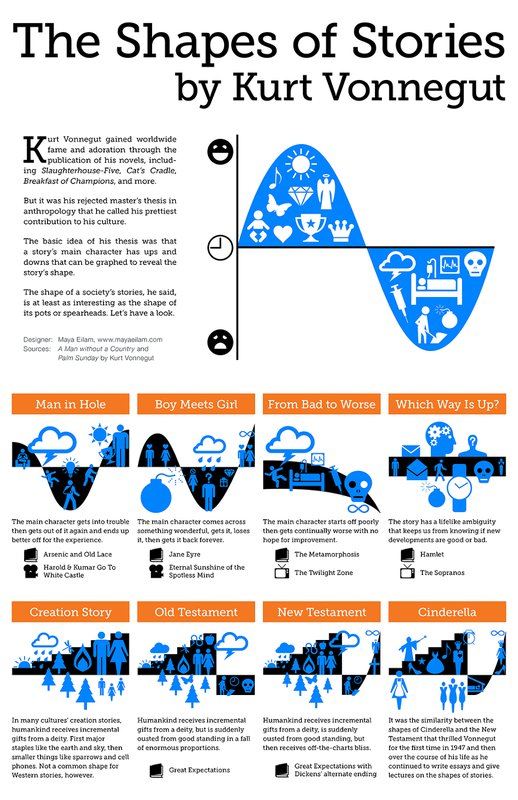 We have to get together and toast your birthday and kick around this story structure issue...I really want to hear your take on my simplified formula. And of course I know you'll have lots to add to it, too. And seriously--we ALL need to read the Jason Brubaker book. Ellis, do you have it yet?? Tom? Jim? Rick??? I ordered the Jason Brubaker book on Amazon just today, plus his remind 1 paperback graphic novel, so I will be reading them. Doesn't sound like too much work for the serious aspiring professional. The drawing in class under a time limit sounds intense though. I couldn't work in public under such pressure! Class sounds fun Marty! I really like the second assignment with biographical content. Also the fact that they have to make copies and share. That should be the case for each assignment. So much info! I should have commented sooner, but haven't even booted up my computer for a while. Anyway, bane schmane. How is the single panel thing not just a camera pan establishing shot. 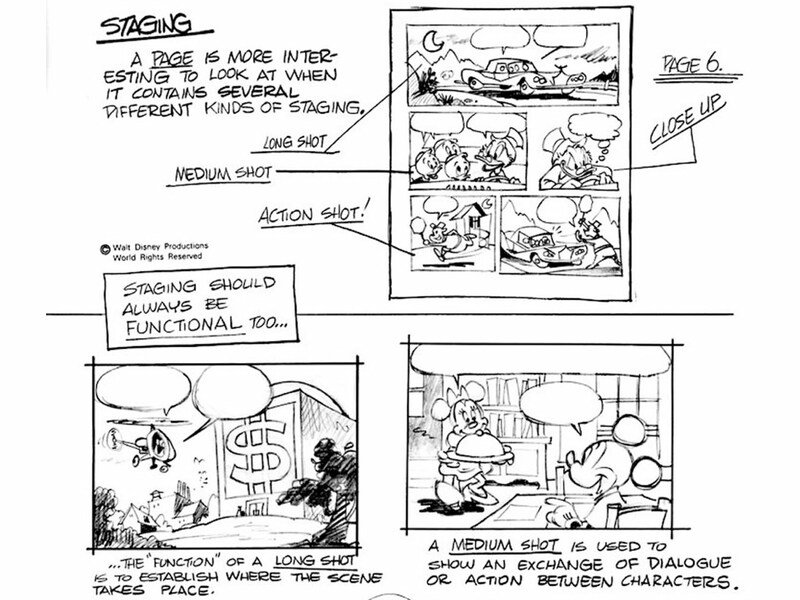 The camera moves at the speed of obstruction like a stop to look at breasts (your example) or detail or word balloons(McCleod's example) slowing you down. Is that what you meant by time in one panel?